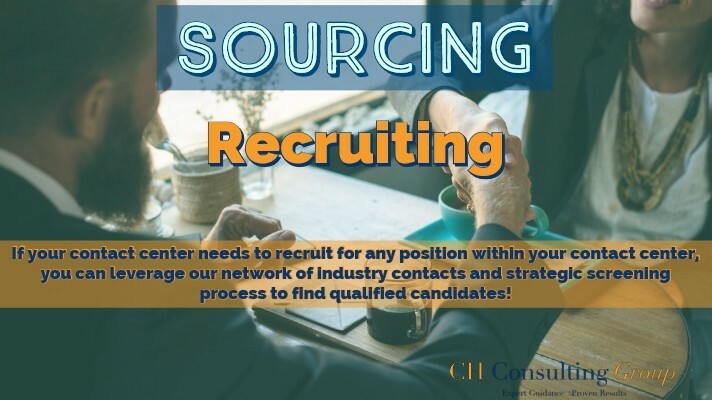 Search – CHCG will source and screen viable candidates for the desired position in the desired in the desired location leveraging our internal contacts. CHCG has 170+ years of collective experience in the contact center industry, which has resulted in thousands of shared contacts. However, our search will not be limited to our internal network. We will conduct a local and national search. Methods of recruiting outreach will include email and social media. Preliminary Screening – CHCG will assist in collecting and reviewing resumes, identifying candidates with the highest potential for success, verifying references, and preliminary telephone interviews. Final Screening – CHCG will assist with the final interview process for the most qualified candidates. This includes formats such as in-person interview, structured panel interview and video interview. We understand how important it is to find the “right fit” candidate to fill your position. If you need assistance with finding a professional, qualified individual that meshes well with your company culture, please fill out a form today for a free proposal. We’d love to learn more about the position you need filled and how we can best support your search.